• Look for any expired medicines. Some drugs not only lose their effectiveness but can also become toxic. Properly dispose of them at a prescription take-back day. • Watch for signs of improper storage. Most medications should be stored in cool, dry places. 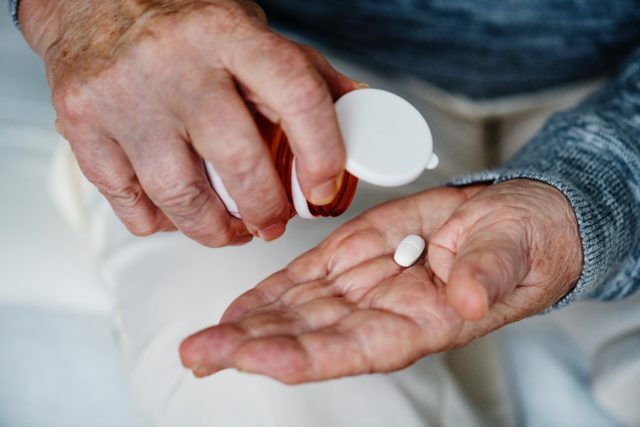 If your pills or ointments look like they have changed color or texture, the medication has probably gone bad and should be replaced and properly disposed. • Make a medication list and check it regularly. Include each medication name, purpose, dosage, healthcare prescriber and refill due date to better adhere to your medication plan. A family member or caregiver may also want to help with this—it is sure to give everyone a healthy dose of peace of mind.